As part of a major refurbishment project, ZEEFAX was commissioned to design and build a large SCR motor control system to be installed on the MAERSK GALLANT platform. Comprising 11 separate 1600A DC Drive cabinets and a PLC based control panel, the system is equipped to control up to 6 mud pumps, 3 draw-works motors and two top drives when fed from a 6000 A bus. A key factor in the purchasing decision was the very limited space available for the installation of the new cabinets. Zeefax worked closely with the end user to design and build a system with a very small footprint, and had to overcome a series of technical design challenges to fulfil the brief. The high voltage bus bars were tightly packed into the small cabinets, necessitating careful positioning and design of the forced air cooling system. Together with a full range of standard SCR control equipment, the system also includes field reversing on Draw-works A and on both Top Drives, and each control panel features a state-of-the-art Digital DC motor controller (DDC). Zeefax designed and built all of these panels in our development and production facility based in Bracknell, England. Prior to shipment, a full series of factory acceptance tests were performed and witnessed by the customer, during which the quality of workmanship was especially praised. 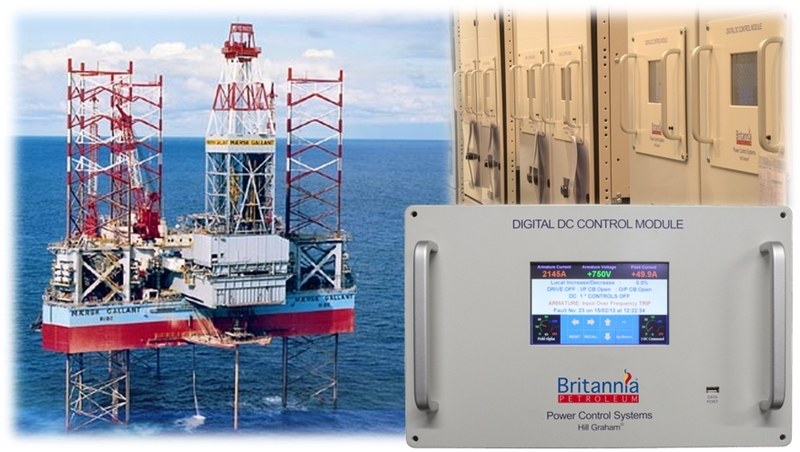 The all new feature packed DDC control module from Zeefax is the next generation module, and includes a comprehensive array of configurable parameters, making it suitable for all types of motors commonly found on board drilling rigs. The unit has been designed specifically with existing system replacement and upgrade in mind, being physically identical to older legacy units. This means that system upgrades are simple, and generally will not need extensive panel remodelling or wiring re-work.